The Intel HEX file is an ASCII text file with lines of text that follow the Intel HEX file format. Each line in an Intel HEX file contains one HEX record. These records are made up of hexadecimal numbers that represent machine language code and/or constant data. Intel HEX files are often used to transfer the program and data that would be stored in a ROM or EPROM. Most EPROM programmers or emulators can use Intel HEX files. : is the colon that starts every Intel HEX record. ll is the record-length field that represents the number of data bytes (dd) in the record. aaaa is the address field that represents the starting address for subsequent data in the record. dd is a data field that represents one byte of data. A record may have multiple data bytes. The number of data bytes in the record must match the number specified by the ll field. cc is the checksum field that represents the checksum of the record. The checksum is calculated by summing the values of all hexadecimal digit pairs in the record modulo 256 and taking the two's complement. 10 is the number of data bytes in the record. 2462 is the address where the data are to be located in memory. 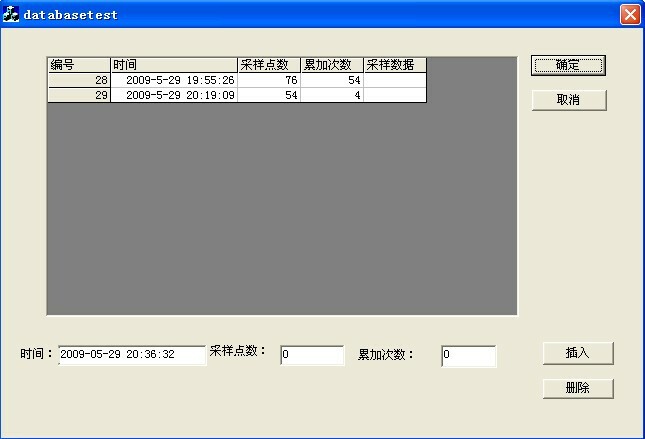 00 is the record type 00 (a data record). 33 is the checksum of the record. 02 is the number of data bytes in the record. 0000 is the address field. For the extended linear address record, this field is always 0000. 04 is the record type 04 (an extended linear address record). FFFF is the upper 16 bits of the address. 01h + NOT(02h + 00h + 00h + 04h + FFh + FFh). When an extended linear address record is read, the extended linear address stored in the data field is saved and is applied to subsequent records read from the Intel HEX file. The linear address remains effective until changed by another extended address record. The absolute-memory address of a data record is obtained by adding the address field in the record to the shifted address data from the extended linear address record. The following example illustrates this process..
0000 is the address field. For the extended segment address record, this field is always 0000. 02 is the record type 02 (an extended segment address record). 1200 is the segment of the address. 01h + NOT(02h + 00h + 00h + 02h + 12h + 00h). When an extended segment address record is read, the extended segment address stored in the data field is saved and is applied to subsequent records read from the Intel HEX file. The segment address remains effective until changed by another extended address record. The absolute-memory address of a data record is obtained by adding the address field in the record to the shifted-address data from the extended segment address record. The following example illustrates this process. 00 is the number of data bytes in the record. 0000 is the address where the data are to be located in memory. The address in end-of-file records is meaningless and is ignored. An address of 0000h is typical. 01 is the record type 01 (an end-of-file record). 01h + NOT(00h + 00h + 00h + 01h).